Lewis Wickes Hine was born in Oshkosh, Wisconsin on 26th September, 1874. He studied sociology in Chicago and New York (1900-07) before finding work at the Ethical Culture School. Hine, who had purchased his first camera in 1903, employed his photographs in his teaching and established what became known as documentary photography. Hine also used his camera to capture the poverty he witnessed in New York. This included a photographic study of Ellis Island immigrants. In 1908 Hine published Charities and the Commons, a collection of photographs of tenements and sweatshops. Hine hoped he could use these photographs to help bring about social reform. He told one meeting that he believed his photographs would encourage people to "exert the force to right wrongs". As a school teacher, Hine was especially critical of the country's child labour laws. Although some states had enacted legislation designed to protect young workers, there were no national laws dealing with this problem. 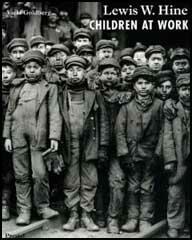 In 1908 the National Child Labour Committee employed Hine as their staff investigator and photographer. This resulted in two books on the subject, Child Labour in the Carolinas (1909) and Day Laborers Before Their Time (1909). Hine travelled the country taking pictures of children working in factories. In one 12 month period he covered over 12,000 miles. Unlike the photographers who worked for Thomas Barnardo, Hine made no attempt to exaggerate the poverty of these young people. Hine's critics claimed that his pictures were not "shocking enough". However, Hine argued that people were more likely to join the campaign against child labour if they felt the photographs accurately captured the reality of the situation. Factory owners often refused Hine permission to take photographs and accused him of muckraking. To gain access Hine sometimes hid his camera and posed as a fire inspector. Hine worked for the National Child Labour Committee for eight years. Hine told one audience: "Perhaps you are weary of child labour pictures. Well, so are the rest of us, but we propose to make you and the whole country so sick and tired of the whole business that when the time for action comes, child labour pictures will be records of the past." Leo aged 8 working in a textile factory in Tennessee in 1910. In 1916 Congress eventually agreed to pass legislation to protect children. As a result of the Keating-Owen Act, restrictions were placed on the employment of children aged under 14 in factories and shops. 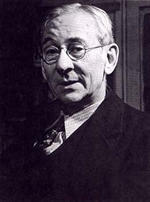 Owen Lovejoy, Chairman of the National Child Labour Committee, wrote that: "the work Hine did for this reform was more responsible than all other efforts in bringing the need to public attention." After his successful campaign against child labour, Hine began working for the Red Cross during the First World War. This involved him visiting Europe where he photographed the living conditions of French and Belgian civilians suffering from the impact of the war. After the Armistice Hine went to the Balkans and in 1919 he published The Children's Burden in the Balkans (1919). In the 1920s Hine joined the campaign to establish better safety laws for workers. Hine later wrote: "I wanted to do something positive. So I said to myself, 'Why not do the worker at work? The man on the job? At the time, he was as underprivileged as the kids in the mill." 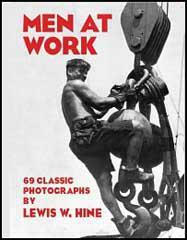 In 1930-31 recorded the construction of the Empire State Building which was later published as a book,Men at Work (1932). This was followed by another assignment from the Red Cross to photograph the consequences of the drought in Arkansas and Kentucky. He was also employed by the Tennessee Valley Authority (TVA) to record the building of dams. Hine had great difficulty earning enough money from his photography. In January 1940, he lost his home after failing to keep up repayments to the Home Owners Loan Corporation. Lewis Wickes Hine died in extreme poverty eleven months later on 3rd November, 1940.
room in Rhode Island in April 1909. Hine never tried hard for a single effect; he was usually not pictorially dramatic and many of his photographs appeared flat - not shocking enough for his contemporaries. The people in the photographs communicate directly to us as if they were still alive. They spill out of their historic reality to become part of our present. We see them and think we are about to know them. (2) In 1909 Lewis Hine spoke at a social work conference on the subject of photography and social reform. Whether it be a painting or photograph, the picture is a symbol that brings one immediately into close touch with reality. In fact, it is often more effective than the reality would have been, because, in the picture, the non-essential and conflicting interests have been eliminated.